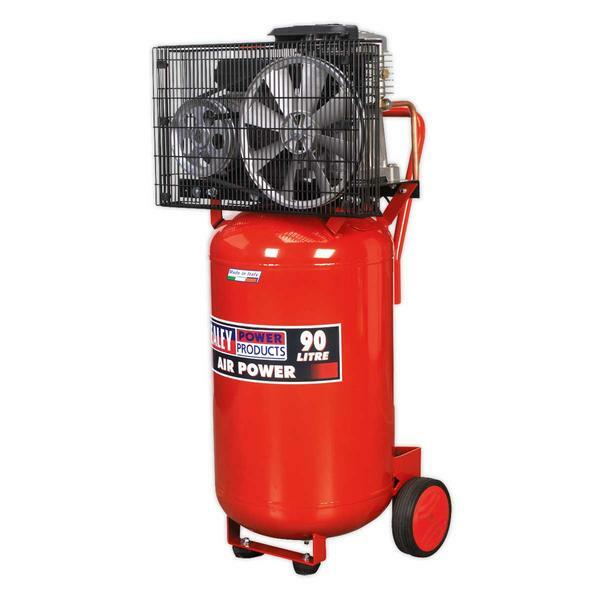 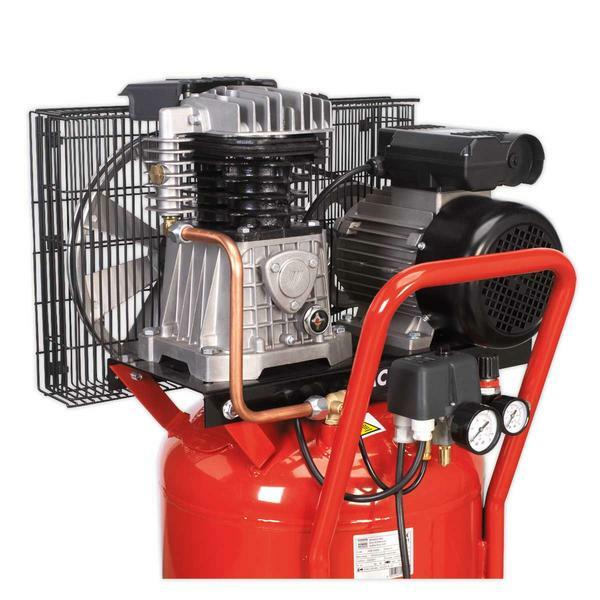 Suitable for the professional workshop these units are fitted with a genuine 3hp motor. Vertical tank saves space without compromising on performance. Twin capacitors and a centrifugal switch aid trouble free start up on a 13amp supply. 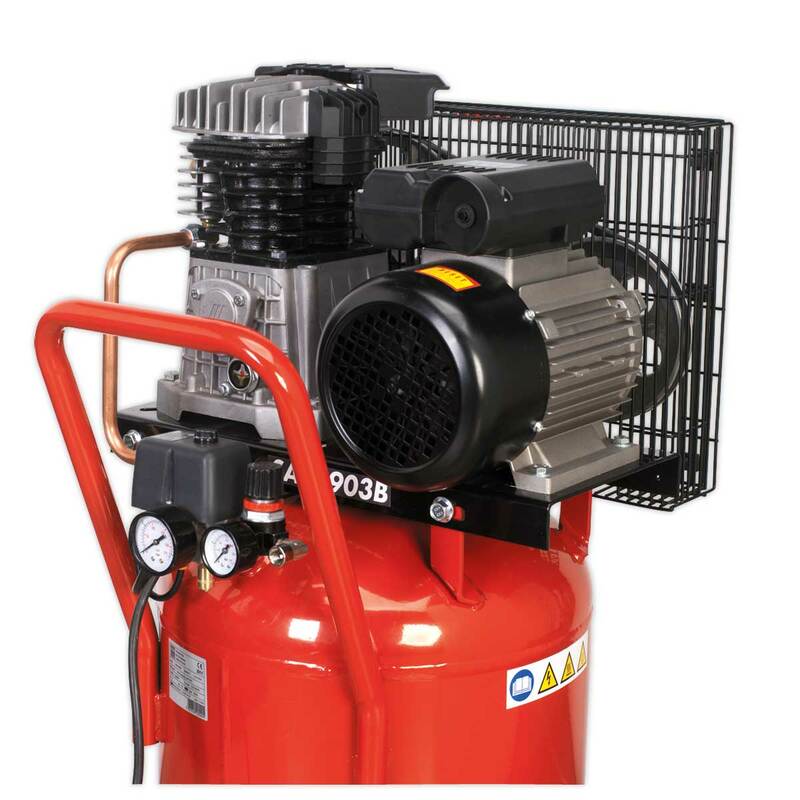 Pump features heavy-duty full cast cylinders, capped by alloy heads for improved heat dissipation and long life. Heavy-duty drive guards protect belt and flywheel that is designed to force air over the pump to aid cooling.